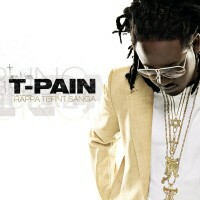 T-Pain is the founder of the record label Nappy Boy Entertainment, established in 2005. Throughout his career as a singer, T-Pain is known for using and popularizing the Auto-Tune pitch correction effect. From 2006 to 2010, T-Pain was featured on more than 50 chart topping singles, his most successful feature to date was in Flo Rida’s debut single “Low” which has since been certified 6x Platinum.